Daniel Nacucchio has been training with the best maestros and performers of salon tango; Lampazo, Carlos Pérez, Gabriel Misse and Roberto Herrera since he was 16. Cristina Sosa started her artistic career when she was 9, dancing various styles, such as ballet and jazz, among others. At the age of 18, she discovered tango and clung to it indefinitely. The Japan Open (Tango Salon). 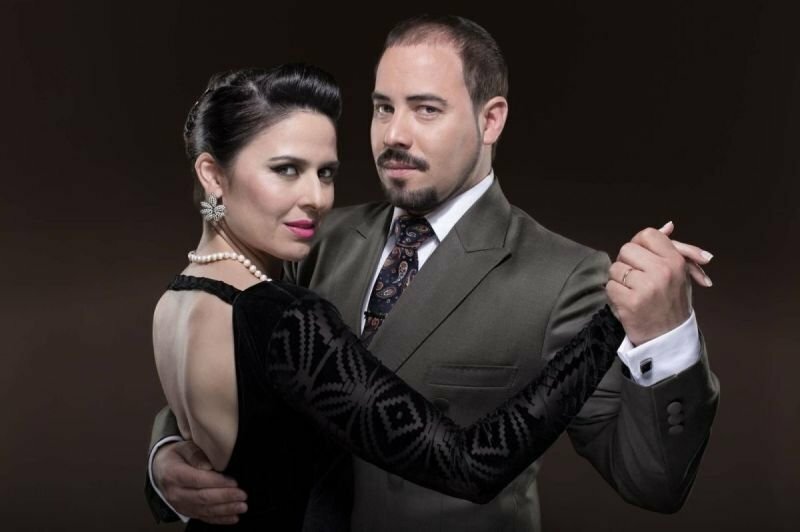 Cristina and Daniel have become one of the most sought after dancers and maestro teachers in international tango festivals and workshops. Their performances as dancers are spectacular and precise and they have participated in many major national and international tango shows such as '' El Café de los Maestros'', "Complejo Tango" and ''Tango mas Tango''. "Cristina Sosa and Daniel Nacucchio are a couple to watch - inspiring, knowledgeable, methodical & approachable teachers and stunning performers. No wonder they have collected a number of significant awards...They are also a delight to watch dancing socially - understated and elegant...As teachers, their lessons were well prepared & appropriate to the level of workshop participants...They communicated effectively, using humour appropriately, and they were warm and very generous with their attention to participants, constantly moving around and helping people, despite the popularity of their classes. I should add that this view was shared by everyone I spoke to at the event."